Tales Of A Nomad: Lonely Planet...!! The frame was captured on a very misty morning at Thamarassery ghats, the gateway to Wayanad while travelling from the plains of Kozhikode. 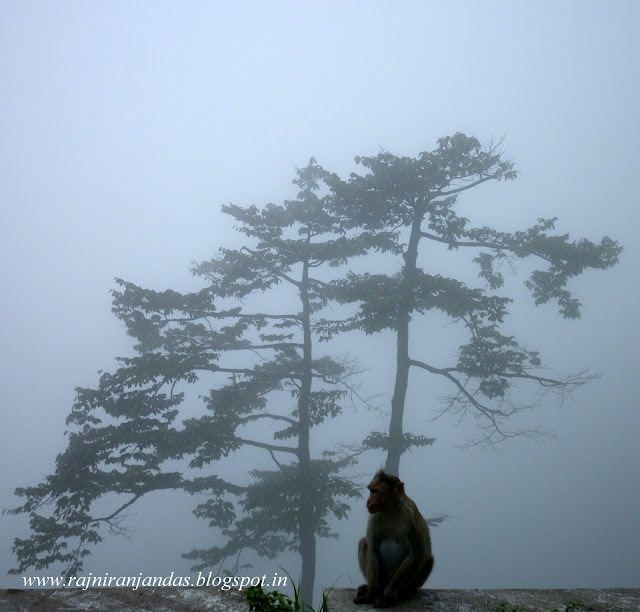 This macaque seemed a lost soul staring at the valley and the ghats, that were engulfed in mist. October 2012. Wish you all a Merry Christmas...!! Thanks Nambiare. The fella was enjoying the cold. Wonderful capture... it does frame loneliness. Thanks for dropping by and leaving ur sweet comment. Good one!! Have a great year ahead!!! Ethereal picture. Pardon me, but isn't that a bonnet macaque? Rhesus macaques are found in North India. To my knowledge they are not found in the South. Correct me if I'm wrong. Very well taken shot. It sort of points towards mysterious and unknown.